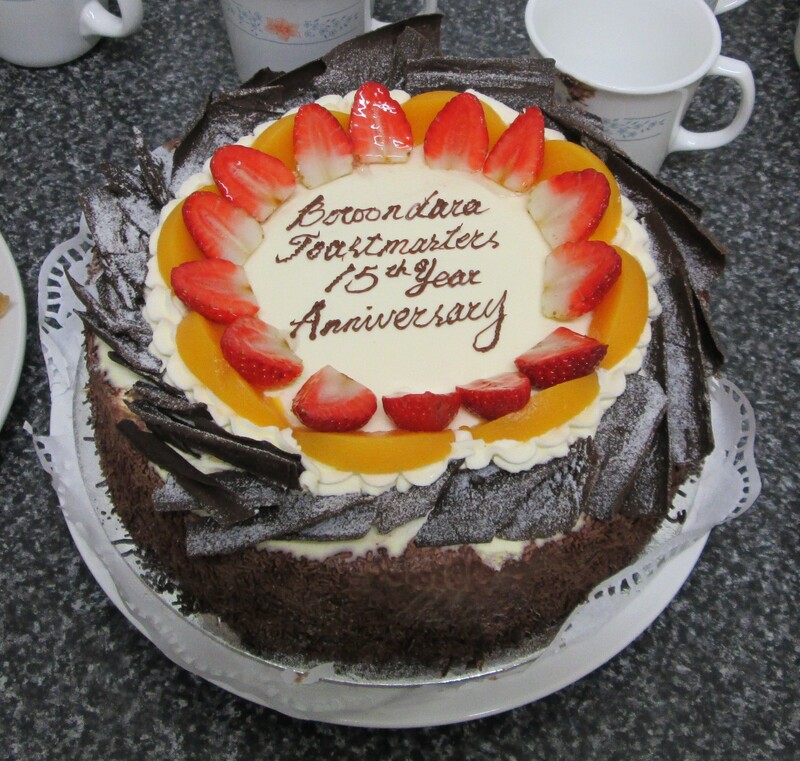 On Thursday 20th June 2013, Boroondara Toastmasters Club celebrated its 15th year anniversary. From its small beginning in 1998 when it first began meeting in a church in Renown Street, Burwood, the club has developed into a vibrant, friendly and supportive environment for its members to learn and develop their speaking and leadership skills which in turn foster self-confidence and personal growth. Each meeting is filled with enthusiasm, fun and encouragement. Besides helping new members to learn the unique skills of communication and speech presentation, to the more experienced members we encourage them to be mentors to new members, to share valuable experience. We also encourage members to achieve their potential by expanding their comfort zone and embrace the challenge of different speeches, different roles and set high-achievement goals. Mr Graham Watt – State Member for Burwood. Both of these politicians presented informative and often humorous anecdotes of what it is like to be a politician. 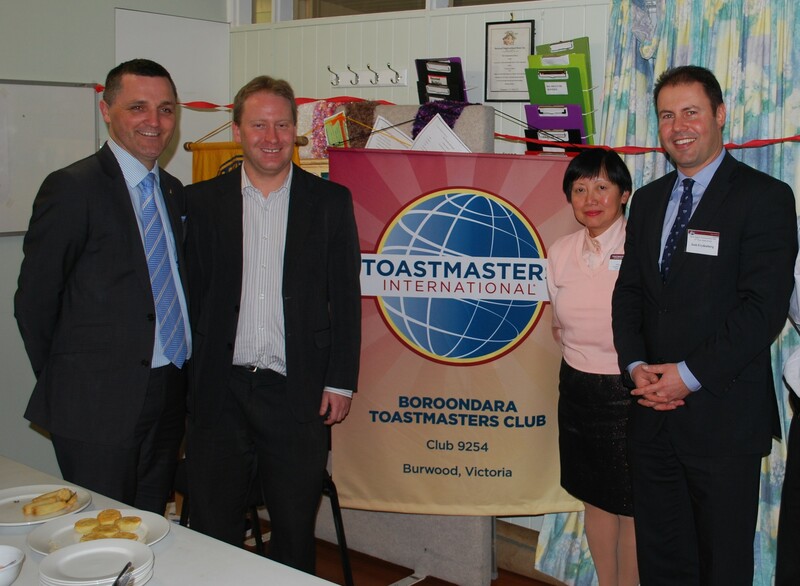 Also presenting speeches were District International Speech Winner – Yuri Ptchelinzew; 3 members from Boroondara Toastmasters Club and 1 member from Manningham Toastmasters Club. Our District Governor, Catherine MacGillivray, together with members from nearby Toastmasters Clubs, also came to help celebrating the special occasion.